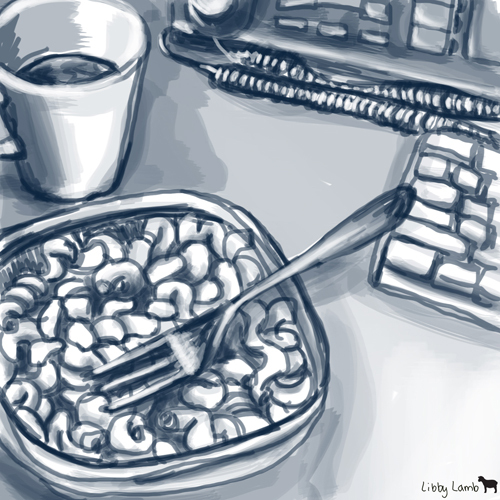 I absolutely love drawings of food. Here's my lunch today: basil tomato curly pasta featuring keyboard and phone. are the birds there yet?